Environmental impact has become the new key to rewriting a portion of the history of architecture, as the zero impact effect of certain construction materials such as porcelain stoneware is changing the way people think about design. Building leaves a footprint, with an impact on the town, the land and nature. People study the historical evolution of buildings, cities or residential areas and how their lives hand down the lifestyles and hierarchies characteristic of any human settlement. It is interesting to add a new tile to the mosaic of the history of architecture: the ecological impact any building has on the story told by the land. This new aspect of the discipline is of relevance to both the great historic themes and the evolution of the discipline. Without going into all the evolutionary developments man has had to deal with to make any dwelling-place sustainable by minimising its effect on the land, it is interesting to shift our attention to building materials, which are the basis of any building and can help it achieve sustainability. For it is through choice of components that we can reduce the impact of our constructions. If we use materials which are part of an ecological system, the whole building will be sustainable for humans and for the land. But let’s go back to history for a moment to look at two concrete examples before going back to construction materials. The regulation of water systems which initially had an impact on the world’s big cities and was then extended to all kinds of urban agglomerates not only made cities healthier but resulted in constructions using materials with a lower impact on the land. The experience of the village built with local materials, now once again giving voice to the architect’s conscience, leaves nothing behind after centuries of history, thanks to the materials such villages are built out of. In both cases the idea behind the construction had a reason to exist and to be handed down over the years thanks to construction materials, if we think of the brick used to build the vaults of water systems or the wood used in mountain villages. In both cases locally available, renewable raw materials which are not at risk of depletion are used. How many brick buildings have sprouted up around new agglomerates, and how many forests have been protected and replanted by the very people who build with the wood! Of course the world is more complicated today, and it can be difficult to use zero km materials, but technology can help us by providing environmentally friendly building and cladding materials. 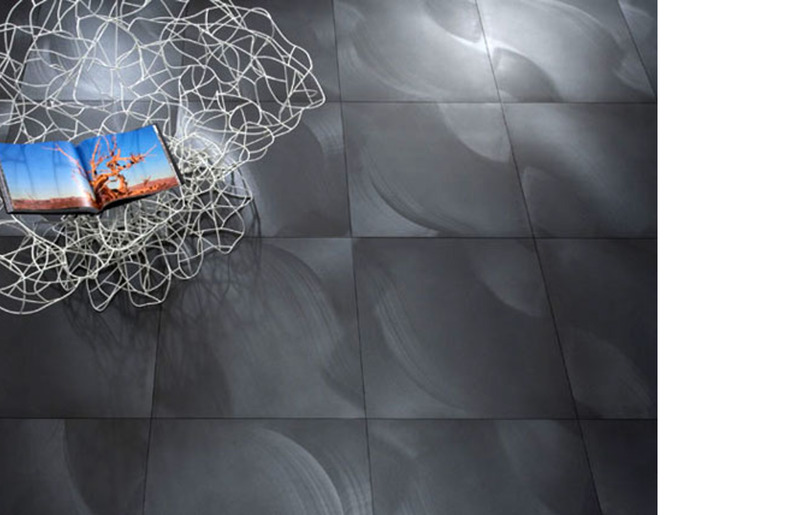 One cross-cutting example might be GranitiFiandre’s Serie100, ecological tiles created with by-products of the ceramics industry, combining aesthetic value with protection of the environment. The line is made out of almost 100% recycled material, returning the resources used by humans to the planet. The ecological footprint approach is extended to the entire life cycle of this product ideal for indoor floors and walls: all ceramic units originated with quarried stone, which though not scarce is decreasing in amount every time it is used, and once extracted must be transported, polluting the atmosphere. Serie100 responds to these concerns by using transformed products and reintroducing them into the production cycle so there is less need for extraction and transport. The result is restored value and usefulness for ceramics, clearly reducing the impact of production on the land and also the impact of new buildings on urbanised areas, in that tiles laid as wall coverings or ventilated walls contribute an ecological consciousness as well as new aesthetic value to contemporary architecture.